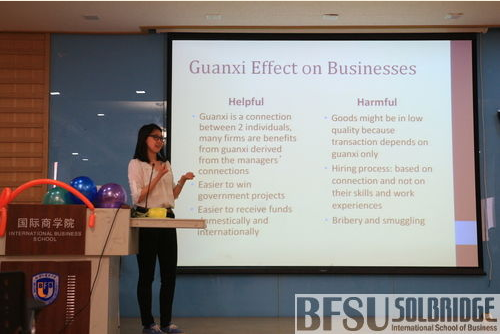 On March 11, an MBA group from Grand Valley State University of the United States visited International Business School of Beijing Foreign Studies University. 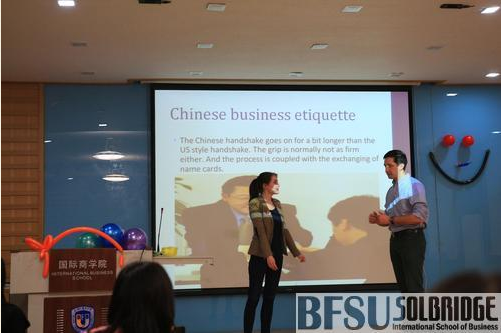 Together with Chinese and international students from IBS, they participated in a range of cultural and exchange activities. 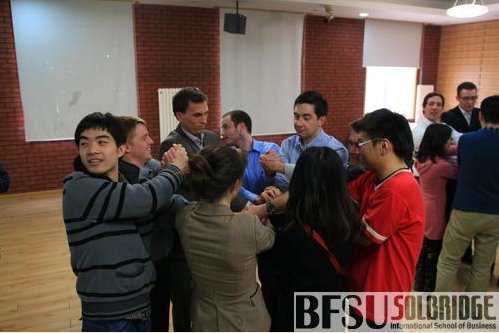 After brief self-introductions, ice-breaking activities soon warm up the atmosphere. 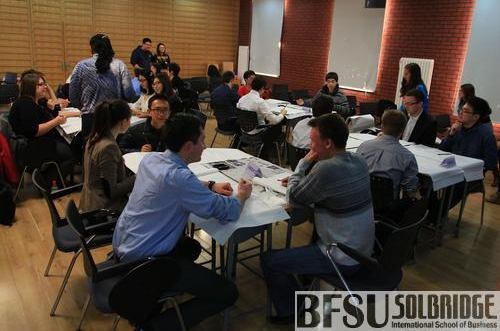 Then students from both sides had a discussion about the economy and e-commerce. 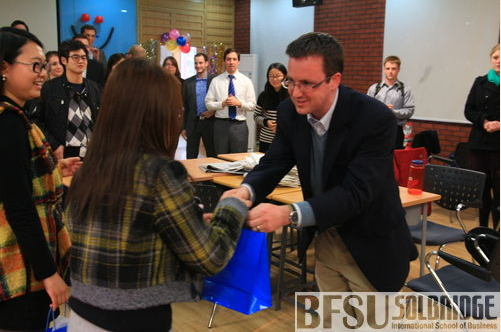 After that, the exchange entered an interesting period with Chinese characteristics—Calligraphy class. 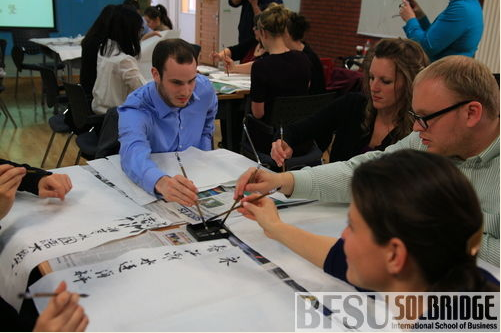 The students were divided into several groups and practiced writing Chinese characters with traditional calligraphy brushes. 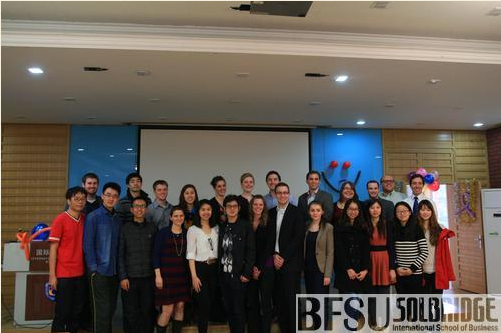 For many of the MBA students from America and international students from IBS, this was the first time they wrote Chinese characters with calligraphy brushes. The gathering came to a successful end with gift exchange and they took a group photo together.